1. Wear dark socks. White ones only reveal how gross your floor is. 2. A stash of lollipops in your car will come in more handy than you could ever predict. 3. When traveling with children, always pack more snacks than you think you'll need. 4. Believe in the power of the Breakfast Dinner. 5. Repeat after me: Nick Jr. is not the Devil. 6. A water spill on the floor is a blessing in disguise: when you wipe it up, you are cleaning the floor. 7. Do not underestimate the value of a good babysitter. Overpay if at all possible. 8. Keep a stash of your favorite adult beverage out of reach of your husband in case of emergency. 9. Exploit the power [threat?] of Santa Claus, the Easter Bunny, the elf thing, as much as you can while your children are young. 10. Remember that a swim in the kiddie pool absolutely counts as a bath. 11. When flying with kids, a glass of wine for mom on the airplane can make the difference between a full-blown panic attack and an amusing “this one time” story. 12. At the grocery store, just assume you need to buy more coffee. 13. Raffi might just save your life on a long car drive. 14. Always have one or two pairs of black yoga pants at the ready. 15. Take advantage of the free cookie for kids at Target. You won't regret it. I'm far from the mythical beast known as Supermom, but these 15 trips have helped me get through a day more times than I can count. 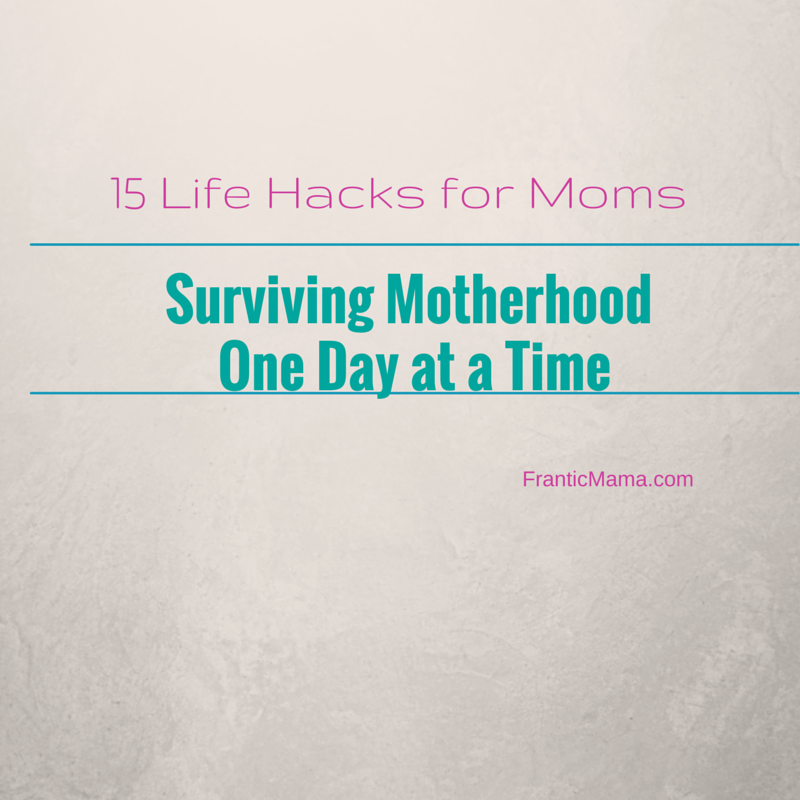 What little hacks have you discovered or embraced to survive the trenches of motherhood? You can connect with me here, too: Facebook, Twitter, Instagram, & Pinterest. Subscribe to my mailing list to receive monthly updates! Yes, we do have a Super Target-- not very glamorous or cool, but I've got to say, it is the BEST once you have kids. You have to go to the bakery section [and humble yourself] to ask, "so, uh, can I get a couple of those cookies for my kids?" and they will :). And, oh, my husband would be in big trouble of he drank my last beer (as evidenced in Clash of the Couples! Ha! ).